Cape Town’s unique story begins with the birth of Table Mountain eight hundred million years ago and the discovery of human footprints dating back 117 000 years. Today it’s a colourful and harmonious fusion of ethnic diversity and a city overflowing with opportunity. While walking through the streets and meeting the locals, you will fall in love with its natural beauty, creative freedom and incredible spirit. Cape Town is the city where the unexpected is always just around the corner and the beautiful province of the Western Cape lies ready to be explored across the city border. You really get to know a place when you’ve seen the heart of its people. 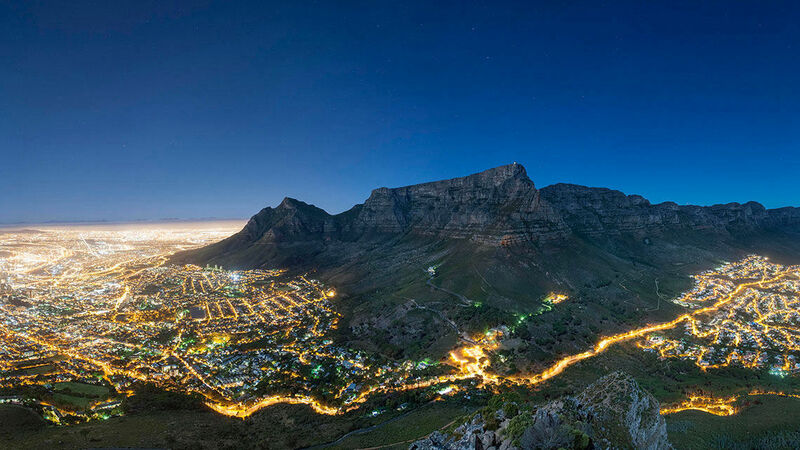 And Cape Town has a big heart. Watch minstrels clad in shiny satin suits dance through the night on “Tweede Nuwe Jaar”, get the unique opportunity to visit the township of Khayelitsha and experience the daily life in an informal settlement or make your way up Table Mountain in the Cable Car to discover why it’s a new natural wonder of the world. For those who love glitter and over-the-top costume parties, MCQP (annual gay and lesbian parade) has a unique charm and is a memorable and highly anticipated event. To taste Cape Town is to love Cape Town and unforgettable culinary journeys are always within reach. From Cape Malay food in the Bo Kaap area, to opulent seafood dishes at the V&A Waterfront, there’s something delicious at every turn. To peek into the history of its people, visit Robben Island, where Nelson Mandela was imprisoned for 18 of his 27 years of incarceration, it will move you, change you and capture your heart forever.